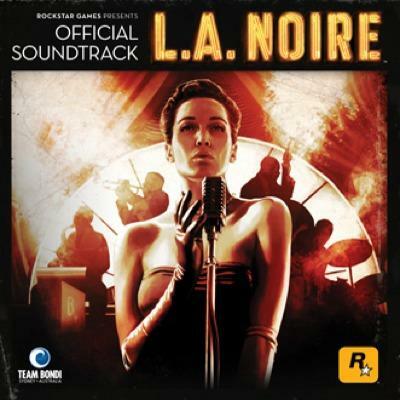 The soundtrack within Rockstar and Team Bondi's L.A. Noire has been fully detailed and explained on the game's official site. The title launches tomorrow, and the score that accompanies players throughout the adventure will deliver aural cues to main character Cole Phelps. But, as is always the case with Rockstar efforts, there's more to the music behind this crime-solving thriller than just mood creation. Jazz reigned as America's most popular form of musical entertainment in the 1940s and was at its apex of creative innovation, from the emergence of Bebop to the revitalization of Dixieland. The in-game soundtrack of L.A. Noire steps into this era of rich musical history and accompanies each vivid environment with its sonic match. The contemporary music from the time period is well visited too. More than thirty tracks worth, in fact. And it's all stuff from some of the greatest artists and singers of the time: Billie Holiday, Dizzy Gillespie, Ella Fitzgerald, Louis Armstrong, Thelonius Monk, and others. The future meets the past in this EP spin-off as six period gems from jazz legends like Billie Holiday, Ella Fitzgerald, and Lionel Hampton get remixed by modern greats like Dave Sitek (of TV on the Radio), DJ Premier (of Gang Starr, and as heard on the Grand Theft Auto IV soundtrack), and Truth & Soul (El Michels Affair, and as heard on the Grand Theft Auto: Chinatown Wars soundtrack). As you get set to dig in and solve some of the most intense and action-packed crimes of 1947 Los Angeles, have a listen to the remix at the bottom of Rockstar's soundtrack page.